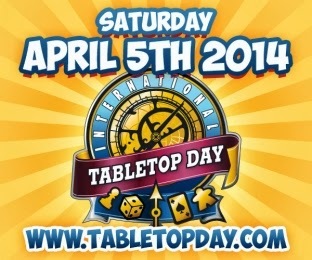 Join us at Off The Charts Games for the 2nd Annual International TableTop Day, a day dedicated to promoting board game fun worldwide. Gaming will be free and fun all day. We have a great Demo Game Library full of games you can choose to play. Or, bring in your favorite games and play. No experience is necessary, we are happy to teach the rules and get you started. Bring your friends, bring your family. Check back in for more details as the day approaches.